Obtaining more and more customers is the priority for every single business entity in today’s world. Be it a brick and mortar shop or an online enterprise, everyone tries to woo in new people all the time. However, the process of securing new buyers and a client base for e-commerce websites is quite tedious and arduous. Websites have to put in extra efforts to ensure that shoppers opt for products at their online stores. The special attention gets belted out largely because the process of purchasing a product online is intangible in nature. Companies, because of it, have to come up with several unique ways to satisfy the needs and the requests of the shoppers. Since online shopping does not have the benefit of personal and physical interaction, websites have to use technology to narrow down the barriers. One such platform that most websites and e-commerce companies use is Live Chat to interact with their shoppers instantly in a very convenient way. Yes, the platform is so useful that businesses are relying on it mostly because of its real-time capabilities and its other significant benefits. But, how can the technology bring you more buyers? What are the features that websites can use to lure new shoppers? Well, that is the million-dollar query that today we are going to decipher. So, let us check out how companies can use Live Chat efficiently and bring new clients to their business and brand. 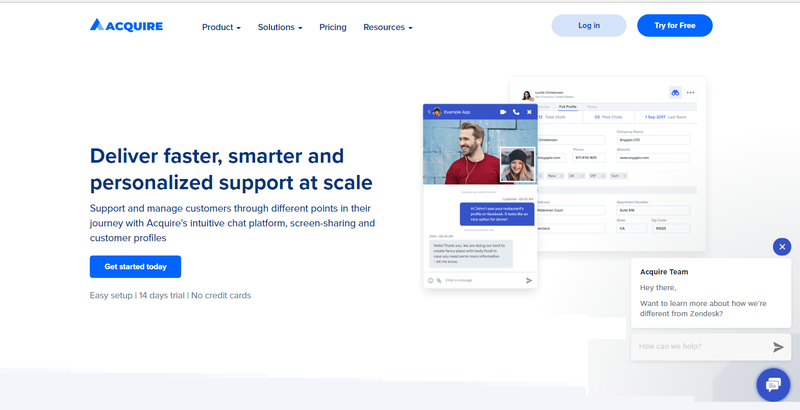 Live Chat in simple terms is a support application that allows companies— and their executives—to communicate and interact with their shoppers in real-time over the internet. These Live Chat using entities use the support system on their website to talk to their viewers in various efficient ways. Very obviously, Live Chat comes with several features and benefits that customer support executives can use for providing shoppers the with help they need. With the lineup, any customer care executive can interact with a shopper in a very in-depth way, thus, answering his or her questions accurately. For instance, when a viewer opens up your website, Live Chat will prompt them to reply on a chat box located at the bottom left-side to begin a text conversation with your team. From there on, you can start serving your shopper in the best possible way. Furthermore, for extra emphasis, your team can also engage in a screen share or a video chat with your shopper to deliver the best customer service. Each of the features of the platform has its merit; however, once packaged together as Live Chat, the technology becomes a nifty application to use. And, with its traits, it can automatically convince people to do business with you. Customer, of every single type or kind, always tries to seek and grab the special attention in whichever way possible.Companies and brands also put emphasis on providing top-notch service to all shoppers, in all possible ways and permutations. Providing every single customer ‘personalized support’ is a challenging and a time-taking process—as, physically it is impossible for online stores to present their case in real all the time. Here Live Chat allows web brands to focus more on giving a customized service to every single client. Remember, it’s your job to offer them an exceptional and enhanced customer experience and service so that they can tell their friends about what you can offer—thus, enhancing your sales numbers. With live chat, the shopper here would get the all the answers he or she is seeking and that way, even your team would be able to boost conversions. Learning by living is one of the best practices that you can apply in the practical world. Yes, planning way ahead is the norm, but sometimes you have to adapt as you go. When selling, you need to learn and change your colors as soon as you get vital business intelligence. Live Chat apps provide companies with the control to monitor and learn from their data, traffic, and users. The analytical solution that the tool offers can turn out to be a huge game changer for your company. With it, you can even program the application to provide you real-time feedback that you can instantaneously implement for business growth. And, what’s more, you can obtain the data with just one single click thanks to the analytics feature of the platform. Along with analytics, with Live Chat your team would also be able to collect precious data about the behavior of the customers. You can derive and use chat data as well as the history of all interactions that your team does with your buyers. You can then study the information and react accordingly to the results, ensuring that you secure new clients at the end of the process. Remember, as per statistics, it takes 12 positive initiatives to nullify one negative customer service experience. So, you must work hard correctly and try to reduce mistakes. You will also get to know how many viewers use the text chat feature, how many accept video chats, how many request screen-sharing, and how many completely ignore the system. The data that you get from the technology will help you to create a much more robust marketing plan for your website to draw more traffic and sales. All the relevant moves of your customers can get recorded with the platform and apart from that, it can even give you the image of how your employees operate. Finally, you can also use the Live Chat technology and integrate it with your Customer Relationship Management system so that your support team can easily fetch data and can do an analysis of all the interactive sessions with your clients. If your team needs to provide in-depth knowledge and support to your clients, then you can easily rely on the screen share and co-browsing features of Live Chat. Both the application allows customers and your care team to share screen so that correct and quick problem solving can get administered. Your executives can also teach your shoppers troubleshooting any common issue via the video screen for any situation that could arise later on. Both screen share and co-browsing are similar to each other, but the latter also empowers an agent—or a support executive—to engage with the customer’s screen. Your team can, therefore, make changes, click, scroll, point, and highlight on things what the client needs to see and check. All of it can happen right in front of the customer’s face and eyes, thus, giving them the chance to observe what the representative does. The platform allows your care team to provide excellent customer service and journey to your shoppers, encouraging more sales as a whole. While, with screen share, agents can see a client’s display and point out various data on it, but here they cannot change anything. However, the screen share policy is also useful as it can allow customers to gain and obtain vital information on the screen. The process helps both companies and its clients to clear up any sort of confusion or issues in real-time so that the shoppers are better prepared to tackle any situation. The screen sharing and co-browsing option can specifically work for clients that focus on SaaS businesses. Quick interaction and communication are vital, but being available to serve all your clients at pivotal points is also important. Gone are the days when it was thought after 6 p.m. customers did not bother to call up companies and convey their problems. Shoppers want 24x7 help from e-commerce websites and shops, no matter what. Most people will also be inclined to put up a complaint or talk to your support staff after regular office hours, as most will be busy with work during the day. Live Chat provides your company with the chance to deliver support 24x7 a day and 365 days a year. Practically, if you have the ability to provide support all day long, then you will automatically boost your customer experience and resolve queries and questions quickly. Each of these two things can help you to bring and secure more clients for your business. When you are online all the time, people can take their issues to you and get their problem resolved in a quick manner. All you have to do from your side is hire/put in people to handle your Live Chat desk in shifts so that you have a dedicated team that can find remedies 24x7. Live Chat is an essential platform that websites and e-commerce stores can use to augment additional business for their venture. The above points also indicate the robustness of the application, and that alone should be enough to convince you about the benefit of the live chat software.